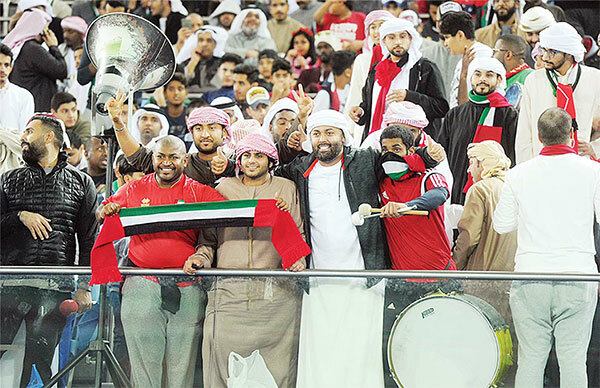 UAE fans cheering during one of the matches held at Jaber Stadium. DUBAI, Jan 4: Th e Ruler of Sharjah on Thursday has announced that six planes will be dedicated to fly out fans of the UAE’s national football team to catch the final game of the Arabian Gulf Cup, reports gulfnews.com. His Highness Dr Shaikh Sultan Bin Mohammad Al Qasimi, Supreme Council Member and Ruler of Sharjah, said that six planes will be made available for UAE football fans to watch their team play against Oman. 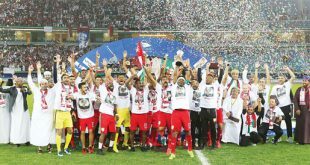 Fans of the UAE’s national football team will be offered free tickets to Kuwait to support the sports stars in the Arabian Gulf Cup finals. 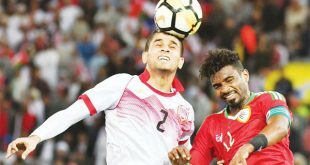 The announcement follows the UAE’s victory over Iraq aft er playing on Tuesday night at the Jaber International Stadium. The UAE have won the tournament twice in 2007 and 2013 and have finished as runners-up on three occasions. The finals will be played on Friday. Gulf News earlier reported that His Highness Shaikh Mohammad Bin Rashid Al Maktoum, Vice-President and Prime Minister of the UAE and Ruler of Dubai, ordered Emirates airline to provide free tickets to transport UAE football supporters to watch the game. 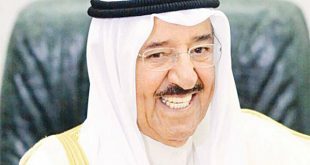 Following the instructions of Shaikh Mohammad, Shaikh Ahmad Bin Saeed Al Maktoum, President of Dubai Civil Aviation and chairman of the Dubai Airport Freezone Authority (DAFZA), confirmed that Emirates airline will operate a special A380 flight to Kuwait for UAE supporters to attend the finals of the Arabian Gulf Cup. 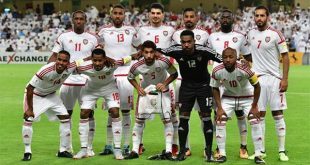 The UAE team will face Oman in the final match, which will be held this Friday, Jan 5. In a tweet, Shaikh Ahmad Bin Saeed Al Maktoum, President of Dubai Civil Aviation and chairman of the Dubai Airport Freezone Authority (DAFZA), said: As instructed by @ hhshkmohd, UAE Vice- President, Prime Minister and Ruler of Dubai, Emirates will operate a special Airbus A380 flight to Kuwait for UAE football fans to attend the Arabian Gulf Cup Final (UAE vs Oman) on Friday, Jan 5. Details of the special flight will be made available as soon as possible. There is more good news for UAE supporters who want to see the action in Kuwait on Friday. 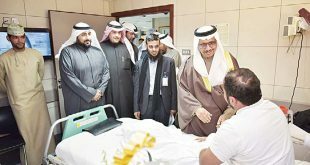 Shaikh Maktoum Bin Hamad Bin Mohammad Al Sharqi, President of Fujairahs Ahli Club, has ordered providing free three flights to transport Emirati supporters to Kuwait to attend the final of the Arabian Gulf Cup 23 and support the UAE team.